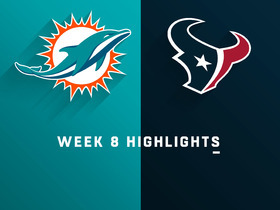 Grant brought in four of eight targets for 36 yards and returned two punts for 29 yards in the Dolphins' 42-23 loss to the Texans on Thursday. Analysis: Grant's target total was a career high, while his reception tally was his best since Week 1. The speedster's primary value still comes as a returner, but he's enjoyed a modest yet steady role in the air attack in all but one game this season as well. Although Grant's production is hard to trust from week to week, his elite speed enables him to pay off on just a single play. 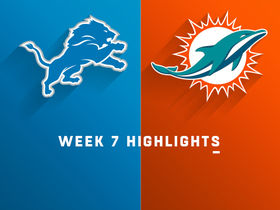 Grant hauled in both targets he saw for 32 yards during Miami's 32-21 loss to the Lions on Sunday. Analysis: Grant has not exceeded 32 receiving yards in his past four games but did log 93 total yards on special teams. With Albert Wilson (leg), Kenny Stills (undisclosed) and DeVante Parker (quadriceps) all injured with a short week for recovery, Grant could be in line for an increased target share during Thursday's game against the Texans. Grant corralled three of four passes for 32 yards during Sunday's 31-28 overtime win versus the Bears. Grant (shoulder) is active for Sunday's Week 6 tilt against the Bears. Analysis: The speedster will thus be available in a wide receiver corps that will be at full health, given Grant's presence and the return of DeVante Parker (quadriceps). However, with Brock Osweiler under center in place of Ryan Tannehill (shoulder) against an aggressive Bears defense, the fantasy prospects for all of the Dolphins' pass catchers takes a fairly significant hit. Grant (shoulder) is listed as questionable for Sunday's game against the Bears, Armando Salguero of the Miami Herald reports. Analysis: Grant has dabbled in the Dolphins' passing attack this season, averaging 13.8 yards per catch and hauling in a pair of touchdowns. His primary contribution has been in the return game, though, as he ranks first in kickoff return yardage (378) and second in punt returns (143) while scoring in both domains. Targets likely will be hard to come by, especially with DeVante Parker (quadriceps) potentially back in the fold Sunday, but Grant has a number of ways to make an impact, if active. Grant (shoulder) was a limited practice participant Wednesday, Armando Salguero of the Miami Herald reports. Analysis: The shoulder injury likely explains why Grant didn't play any offensive snaps in Sunday's 27-17 loss to Cincinnati, though he did return a punt for a 71-yard touchdown. It's possible the Dolphins follow a similar plan for Week 6 against Chicago, especially if DeVante Parker (quad) is cleared to play. Parker's return likely would push Grant back to the No. 5 role at wide receiver. Grant (undisclosed) did not log a catch during Sunday's 27-17 loss to the Bengals. Analysis: Grant did record an impressive 71-yard punt return touchdown on special teams but did not log a single offensive stat. 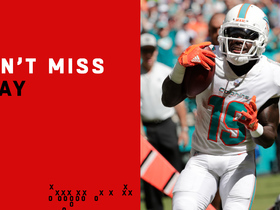 The speedy wideout once again showcased his big-play ability but doesn't have a consistent enough role in Miami's offense to warrant attention in most fantasy formats. Grant also exited the game after suffering an undisclosed injury during the opening kickoff but did manage to return to the field. Grant was injured on the opening kickoff in Sunday's Week 5 game against the Bengals. Analysis: Grant was down for about two minutes before getting helped up and then walked off under his own power. There's no word yet on the nature or severity of the injury. 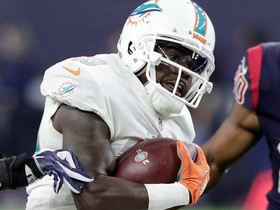 Grant reeled in both of his targets for 17 yards during the Dolphins' 38-7 loss to the Patriots on Sunday. Analysis: Grant fell back to earth after logging two touchdowns and 70 yards Week 3. 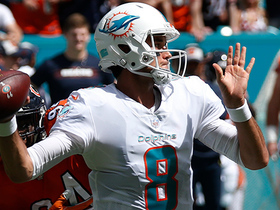 Miami's offense was devoid of trick plays or creative utilization Sunday and failed to move the ball at all until a meaningless Brock Osweiler-led touchdown drive after the game was well out of hand. It's difficult to determine what sort of offensive role Grant will receive on a week-to-week basis, but at the very least the Dolphins offense should bounce back from Sunday's forgettable performance. Grant caught two of three passes for 70 yards and two scores in Sunday's 28-20 win over the Raiders. 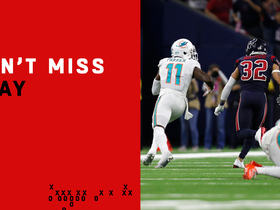 Analysis: Grant was targeted on the game's highlight play, scoring on a 52-yard bomb from Albert Wilson on a trick play. The third-year wideout then nabbed an 18-yard pass from Ryan Tannehill in the red zone, in addition to serving as Miami's punt returner. Grant is a weekly boom-or-bust play, lacking the target share to put up consistent numbers. 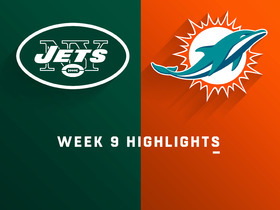 Grant snagged two of four targets for 27 yards and added a five-yard run during Sunday's 20-12 win over the Jets. Analysis: Grant has been primarily limited to underneath routes through two weeks but showed he has the ability to burn opponents during his Week 1 return for a touchdown. 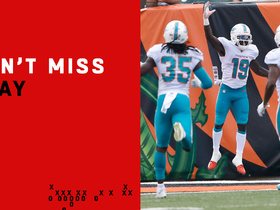 The diminutive receiver leads the team in targets through two weeks but may face the squeeze upon DeVante Parker's (finger) forthcoming return to the lineup. 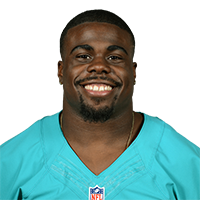 Grant is slated to start in place of DeVante Parker (finger) in Sunday's game against the Titans, Adam H. Beasley of the Miami Herald reports. The Dolphins announced Thursday that Grant has cleared the NFL's concussion protocol, Chris Perkins of The Athletic reports. Grant is present for Wednesday's practice but remains under the NFL's concussion protocol, Adam H. Beasley of the Miami Herald reports. 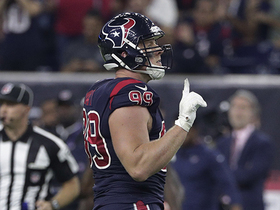 Analysis: Grant's presence on the field -- and the fact that he's listed on the team's injury report as a full participant, according to Armando Salguero of the Miami Herald -- is a good sign with regard to his Week 1 availability. Assuming he gains clearance to play Sunday against the Titans, Grant could see added work behind Kenny Stills, Albert Wilson and Danny Amendola, given that DeVante Parker's finger issue is expected to keep him sidelined. 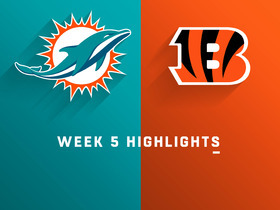 Grant (concussion) could see extended snaps in Sunday's season opener against the Titans with DeVante Parker (finger) unlikely to play, Armando Salguero of the Miami Herald reports. Grant suffered a concussion during Saturday's preseason game against Baltimore, Omar Kelly of the South Florida Sun-Sentinel reports. Analysis: Grant was down on the field for a couple minutes after taking a hard hit at the end of a seven-yard reception. He's expected to serve as Miami's return specialist and No. 5 receiver, though he could slide up to the No. 4 spot if he's cleared to play before DeVante Parker (finger). The Dolphins may need Danny Amendola on punt returns if Grant isn't ready for Week 1. Grant caught four of five targets for 45 yards in Friday's preseason game against the Panthers. Grant practiced with the starters Tuesday, Omar Kelly of the Sun Sentinel reports. Grant appears to be in line for the fifth wideout spot in 2018, Andy Cohen of the Dolphins' official site reports. Analysis: Grant hauled in 13 passes for 203 yards and two touchdowns in 2017. However, 10 of those receptions -- totaling 188 yards -- came in the finals four games of the season. His late season success could translate into heightened 2018 role, and he's expected to retain the return duties he manned last season as well. Still, it likely won't be enough to hoist Grant into the weekly fantasy realm, especially without a secure quarterback situation. Grant finished the 2017 season with 13 catches on 22 targets for 203 yards and two touchdowns in 16 games. Grant brought in four of six targets for 107 yards and a touchdown in Sunday's 29-13 loss to the Chiefs. He also rushed once for three yards and added 26 yards on his sole kickoff return. Grant rushed once for seven yards and caught his lone target for 13 yards in Sunday's loss to the Bills. Analysis: Grant scored his first touchdown of the season against the Patriots last week, but that was never expected to turn him into a viable fantasy option. The 25-year-old has six receptions for 70 yards and a touchdown in 14 games this season. Grant (illness) has been cleared to play in Monday's game against the Panthers. Analysis: Grant missed some practice time this week due to an unspecified illness and was handed the questionable tag entering Monday night. Now that he's been given the thumbs up to play, the Texas Tech product should be set to continue in his role as the team's top return man, with the potential to see a handful of snaps on offense. Grant (illness) is listed as questionable for Monday night's game against the Panthers, Armando Salguero of the Miami Herald reports. Analysis: Grant progressed to a full practice participant Saturday after starting the week not practicing. The 25-year-old seems likely to play Monday given his practice participation, but the questionable tag provides a bit of pause. Kenyan Drake could serve as returner if Grant cannot play, but the Dolphins may also utilize another option given the recent changes with their running back situation. Grant returned to practice Friday one day after being out due to an illness, Armando Salguero of the Miami Herald reports. Analysis: Grant was never in danger of missing the team's game Monday in Carolina. He will continue to assume his normal punt and kick return roles on special teams for the Dolphins. Grant was held out of practice Thursday due to an illness, Adam H. Beasley of the Miami Herald reports. Analysis: There's no report as to how severe the illness Grant is dealing with is, but there doesn't appear to be much concern from the Dolphins. The good news is that it's a long week for Miami, as Grant will have until Monday night to recover and be made active.